Short Business Description: Greenridge Realty in Michigan. 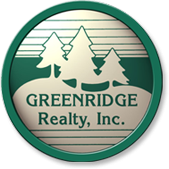 Greenridge Realty began operations in 1980. Since that time Greenridge has grown to more than 300 professional agents in 22 offices. 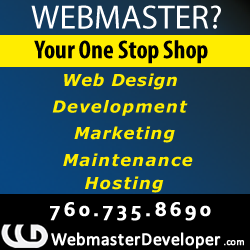 We remain dedicated to providing the highest level of real estate service and technology to buyers and sellers. Greenridge Realty was founded in 1980 and has been dedicated to offering the best possible service, technology, advice, and aid in the field of real estate. With over 20 locations and 300 agents, Greenridges number one priority is finding clients the best solutions for all their real estate needs. These realtors stay competitive and informed in an ever changing market in order to offer the most up to date and forward thinking services. Come see us in Grandville today! Greenridge Realty is the leading independent residential real estate broker in West Michigan. As one of the Top 300 largest independent brokers in the nation, as ranked by Real Trends magazine, residents trust us to find the best houses for sale in the area. In 2012 Greenridge Realty was ranked #1 in closed real estate sides for Grand Rapids. Since its inception in 1980, Greenridge has maintained its pledge to offer the finest in professional real estate services. Greenridge was founded on purposeful dedication to providing innovative, dependable, high quality real estate services to buyers and sellers. We believe there is no substitute for integrity, professional skill, and hard work. The growth of Greenridge is testimony to our unparalleled excellence. Today, Greenridge Realty has served the greater West Michigan area, with 26 offices and more than 300 agents. We guarantee that you’ll find great houses for sale in the perfect area for you. Greenridge sales associates set the standard to training, relocation, technical and marketing innovations; and industry leadership roles and awards are no substitute for integrity, professional skill, and hard work.